It is a comfortable workplace where people of various ages and positions stand. People of various age and position work while respecting each other.That's why human relations is also a very good workplace. Excellent employee recognition, long-term service awards etc. Please contact us from this homepage "inquiry / document request". ※Negotiable on working hours, days, etc. Raise payment system, incentive system, up to 500,000 yen for hospitalization hospitalization expenses, regular employee recruitment system, job return system, nursery school deposit half price ticket payment etc. At the university, I learned about sightseeing theory and Chinese, and I was working part-time in the hospitality industry all the time during my school days.I like to travel abroad and often use overseas hotels, but the thing that I always feel is wonderfulness of Japanese service. From such experiences, I also joined the OKAYAMA VIEW HOTEL with a new graduation because I want the overseas people visiting Japan to know the "heart of hospitality" that Japan boasts of which it boasts is proud of. The work of the hotel is not the same day as a day, it is very difficult to provide services suitable for each customer, but it is a rewarding work that you can grow day by day with encouraging "voice" from customers in such circumstances I think. 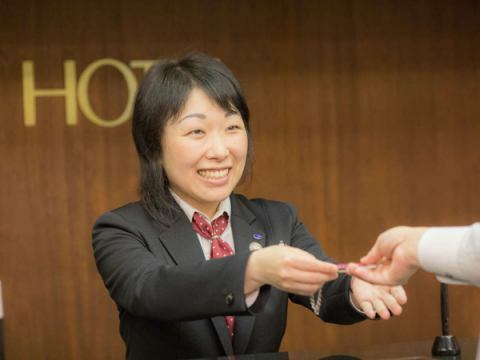 My future goal is to be a Chinese customer who is also my strength and to be a repeater for Chinese-speaking customers.OKAYAMA VIEW HOTEL is extremely at home, young staff and teamwork are outstanding. Along with us, regardless of domestic and foreign customers, let 's try to say "OKAYAMA VIEW HOTEL" when traveling to OKAYAMA VIEW HOTEL. To cherish the edge we met, we value the connection between people and people I thought that I would like to work at the OKAYAMA VIEW HOTEL, I decided to change jobs from different industries. While I was a student, I had a part-time job experience, but I was worried about my first job in the hotel industry.However, at OKAYAMA VIEW HOTEL, there are many opportunities for fulfilling training, such as in-house study sessions, and I am able to work happily while deepening my learning day by day. Based on the thought of "Okayama's my home", we take everyone seriously thinking about "How can you please" from young staff to experienced staff to every customer who visits, every day working on it is.For work and traveling, customers use OKAYAMA VIEW HOTEL in various ways, but I'd like to be a hotel that you can feel relief and warmth like you've returned to families with my favorite family I will. Here are the environments where the staff can grow together while getting good stimulus among themselves.By holding your own skills such as organizing events of staff ideas, you can shape your thoughts towards customers, and you can feel worthwhile enough. As a member of the Okayama View Family, let 's make a wonderful my home together with us. 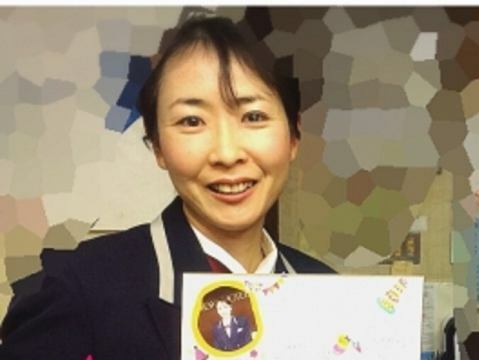 It is Mama's staff who works part time in childcare while working. Please see the animation image.